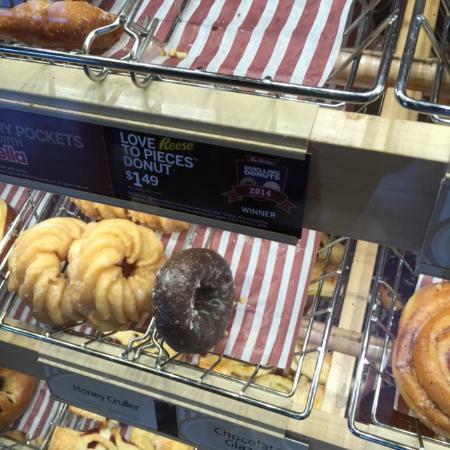 I could not bring myself to buy anything here as this must be the most filthy Tim Horton's there is. Staff were surly and could smile once in a while. Stopped by for fast breakfast. Not many sitting places. Service was correct. We had to wait for a table to sit and eat. Was staying at the Shangri-La, and this is about 50' away. 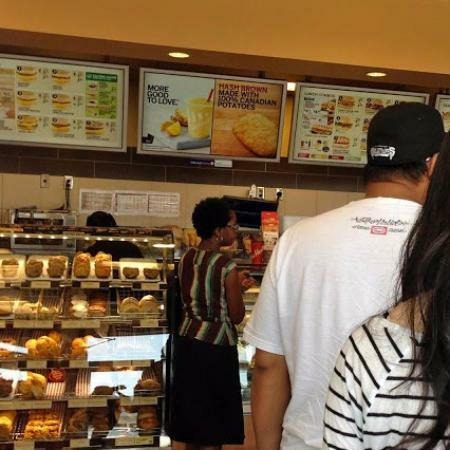 Great to grab a quick tea and breakfast sandwich! I went twice and each time was in & out in about 2 minutes, which is good for Tim's nowadays. Had Pumpkin Spice Latte. Taste was good at first, but then just okay. It is made with milk, and they could not substitute soymilk. 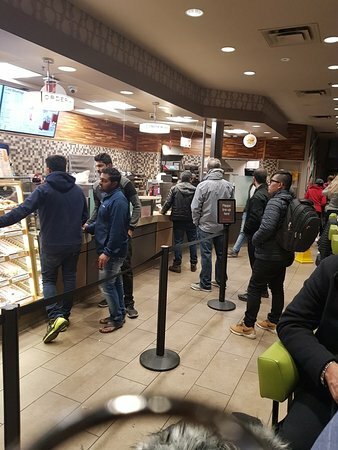 Canada's macca's.. does not have as much choice as Macca's and I think Tim Horton's is a alternate healthy choice for the health conscious people.. only had breakfast..hash browns weren't good but was the same as Macca's menu mostly..
are you sure you understand measurements?